An official jersey designed by and for 11thFrame.com! NOTE: "Add Your Name" option must be selected in order to have Name Addition Text added. Please refer to the product images for reference to the font utilized for this design. If a font image is not provided, standard Brush Script font is used. Please note that any logo on the back of the jersey may be repositioned or removed to accommodate a Name Addition. 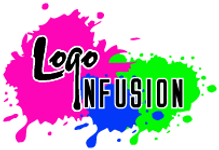 Logo Infusion guarantees its entire line of manufactured apparel for one year from the original date of purchase. This warranty covers the product(s) against defects in materials and workmanship. If the product fails (during the warranty period) due to manufacturing or material defect, Logo Infusion will replace the product(s) at our discretion. This warranty does not cover damage caused by normal wear and tear, improper use, improper care, accident or natural break down of color and materials. Failure to follow our proper care instructions voids this warranty.